Multipurpose interface board for the Raspberry Pi. 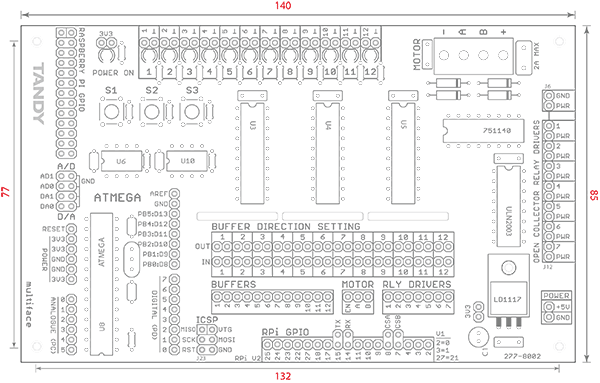 The Multiface is a multi-purpose IO (Input/Output) expansion interface for the Raspberry Pi. Bringing together a selection of interfacing components on to a single circuit board the Miltiface makes an ideal experimentation and prototyping system. 12x 100mm Female - Female Jumper Wires.